The Montecristo is described as a famous brand of hand-rolled cigars which have been available in the US market for some time now. 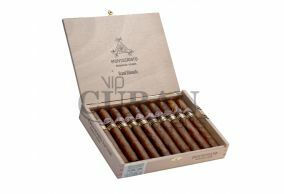 It is one of the best among the cigars available in the market and is known for its sweet smelling aroma, beautiful blending and perfection. The hand rolling process at the factory of Tabacalera de Garcia, Dominican Republic is supervised by an expert cigar maker named Jose Seijas. The Classic brand of Montecristo cigars has a normal size and the smoke is smooth and creamy. Rich wrappers from Connecticut, Dominican binders and fillers are used to wrap these hand-rolled cigars. 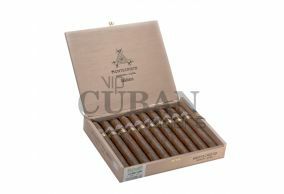 The Platinum series of Montecristo cigars have give a different dimension to the quality of hand-rolled luxury cigars. Any connoisseur would enjoy the exquisite and sensual pleasure offered by the Montecristo cigars which are wrapped with Mexican Cubano wrappers. Michel Delacroix, a Frenchman who followed the naif tradition, designed the box with the picture of the ancient port of Havana as a label. A wrapper with a Connecticut shade from Ecuador distinguishes the Montecristo White from the others and brings to mind fond memories from the past. The binder used in this cigar is from Nicaragua with a blended Nicaraguan and Dominican filler. A person can get a lot of satisfaction from smoking Montecristo White cigars. Two types of cigars have the same name Montecristo. The first type is produced by the Cuban company Habanos SA owned by the state, and the second type is made by one of the Imperial Tobacco divisions of the Franco Spanish company named Altadis SA tobacco company based in La Romana of the Dominican Republic.